إن فندق Paros On The Beach Apartment بموقعه الممتاز في سارفرس باراديس هو نقطة انطلاق جيدة لنزهاتك في جولد كوست. يقع مركز المدينة على بعد 2km فقط. ويمكن الوصول إلى المطار خلال 25 دقيقة. يشكل هذا الفندق ملاذاَ مريحاً للاسترخاء ويمنح زواره فرصة للاستجمام والتجدد، وهو يقع على بعد خطوات من المعالم السياحية الكثيرة للمدينة كمثل: كاسكيد, Royal Queensland Art Society, Brad Holmes Surf Coaching. إن Paros On The Beach Apartment حريص على توفير الراحة للنزلاء، فلا يوفر الموظفون جهداً في تقديم أفضل الخدمات وضمان حسن الاستقبال. يمكن الاستمتاع بمجموعة من الخدمات على أعلى المستويات في الفندق كمثل تسجيل وصول/خروج سريع, تخزين الأمتعة, واي فاي في المناطق العامة, صف السيارات, التوصيل من وإلى المطار. يمكن للنزلاء الاختيار من ضمن مجموعة من الغرف المصممة بعناية لتعكس جواً من الراحة، والتي يتجاوز عددها 1. يمكنك الاستمتاع بالأجواء المريحة التي تقدمها حوض استحمام ساخن, مسار جولف - ضمن 3 كم, حمام سباحة خارجي, سبا, تدليك طوال النهار. إن كنت تتطلع إلى إقامة مريحة وهادئة في جولد كوست، فستجد في Paros On The Beach Apartment بيتك الثاني. Excellent location and good accommodation. Definitely recommend getting the beach front apartment. Amazing views and spacious. Could do with a good clean though. mouldy curtains and dusty and chocolate all over our bedroom drawers..Windows in desperate need of a clean.. Other than that good apartment for the money. Location, Really friendly and helpful staff, Pool and BBQ area. Our room was very poor for the price, furniture was old and damaged, bathroom fittings leaked, daily surcharge for use of aircon, but it didnt work anyway. On a positive, the management and staff are very helpful, and beach location is the best. Enjoyable except for minor quality issues e.g. bed light cord was broken and missing a plug, kitchen exhaust fan not working. 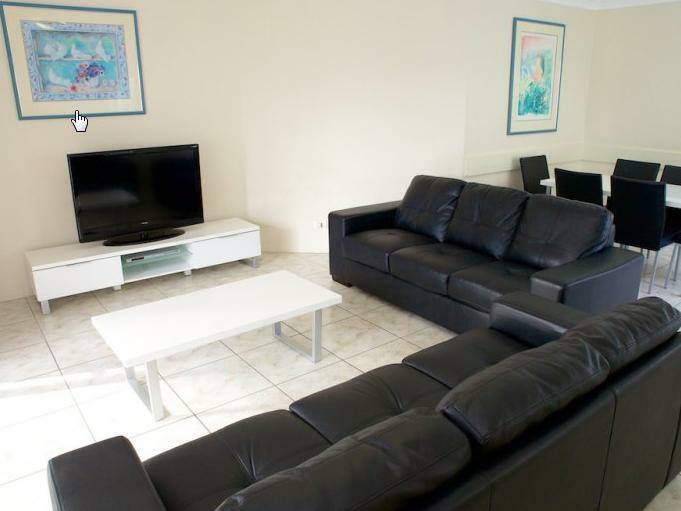 Good position adjacent to beach and walking distance to main Surfers area. 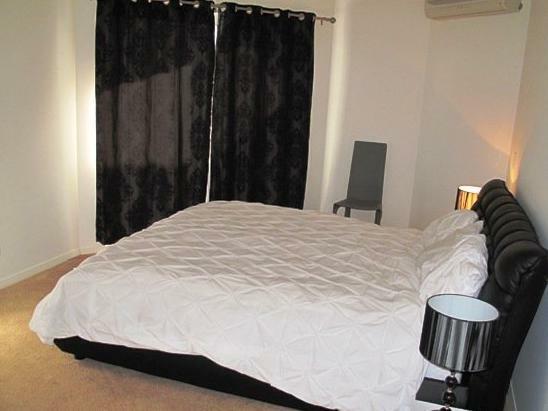 Although it is an older building the bedrooms,lounge area and balcony are a good size. Fantastic. No complaints. Would recommend it to anyone. Value for money. Good location. Budget price. Friendly staff. We really enjoyed our stay. The location was excellent close to beach and theme parks. The staff was very friendly and co-operative. I would stay in Paros if I visit to Gold Coast again. Room was not clean. Bed cover was dirty and smelt, apartment had not been dusted in months. Although some of the furniture looks old/rusty, but overall everything is functioning and can be used. The washing machine and dryer would probably need better cleaning before next guest arrival. Nevertheless, this apartment offers great location to enjoy the beach. Just open the balcony door and you are already on the beach :-) The manager on duty, Annie, was very friendly and helpful. My 2 kids and parents are really enjoying this stay in Paros. 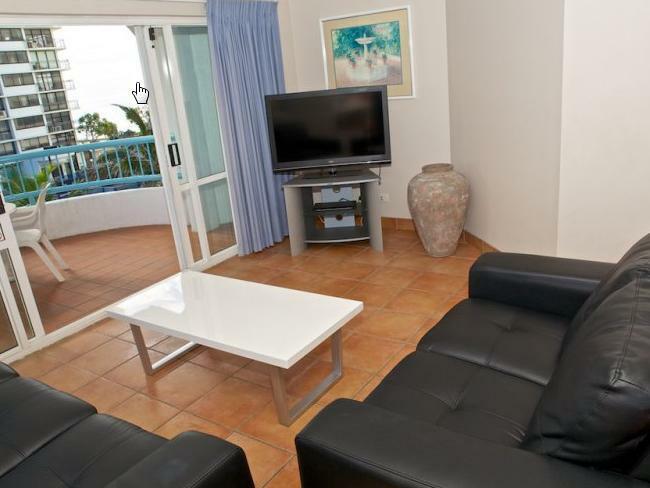 Room sizes were huge, price was excellent and location right on the beach was totally perfect. We came from a 4.5 star hotel in Coolangatta to Paros and immediately wished we had stayed at Paros the whole time. The rooms were fantastically yet simply designed with character and a great "beachie" feeling. The whole complex was quirky and had a very Mediterranean feel to it. Absolutely everthing you might need was there in the room for you, with the exception of a hair dryer! Lovely views of the city and the beach, great pool area with bbq's, very short walk down to beach (20m) - no roads to cross! The whole complex was very secure. The staff were amazing - nothing to hard and very chatty and friendly. Our stay was for 6 nights and it was definitely not long enough, at Paros and Surfers in general. We will absolutely return to this hotel. Spacious apartment with big balcony and great views. This is a very distinctive apartment complex in Greek Island style. 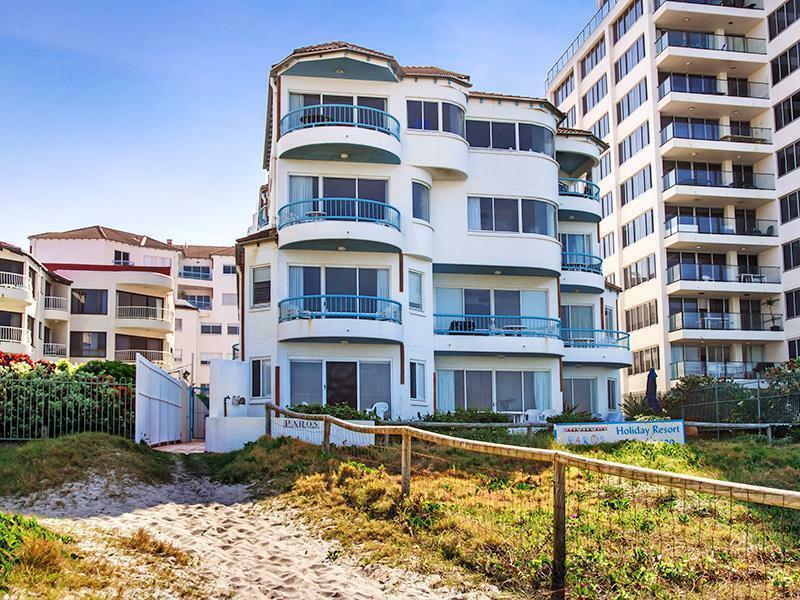 Its in a great location, right on the beach, as the name says, and halfway between the commercial centres of Surfers Paradise and Broadbeach. You can walk to both nearby centres in around 10 to 15 minutes and enjoy their restaurants and shops, and return to Paros by walking along the beach. Central location, quiet, plenty of room for kids. Apartment fine, little tired but clean. Staff really friendly and nothing too much trouble. We were confined to room for 2 days because of weather so only problem was we couldnt get any food delivered, but that wasn't hotels fault as SES had shut all delivery services down. Was disappointed there wasnt any airconditioning altbough there was a unit on the wall apparently the owner of apartment had disconnected it but wouldnt remove it. Turned out it didnt really matter because of the weather but it would have been a problem normally so for that reason I wouldnt stay there again. The rooms were adequately appointed however, they are not air-conditioned, this means leaving windows and balcony doors open all of the time and they are not screened. Management was not prompt when contacted regarding concerns and some of the reception staff were not approachable or welcoming. If you are looking for somewhere to stay and cannot find anything else at all then try Paros on the Beach maybe they should change their name to "Last Resort"
Lokasi didepan pantai, kondisi kamar hebat, fasilitas apartment komplit, heater kurang berfungsi, ketengah kota 15 menit jalan kaki.